Secret believes there are some things women shouldn’t have to sweat…like getting paid what they’re worth. 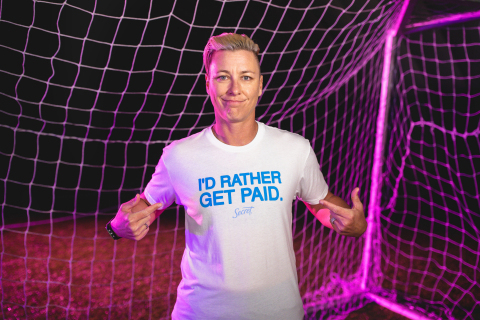 CINCINNATI--(BUSINESS WIRE)--Today, Secret kick-starts a conversation around closing the gender wage gap with the launch of its “I’d Rather Get Paid” campaign, which centers around the reality that, while much progress for women has been made, women still aren’t paid equally to men. The film takes the form of a stylized “music video,” featuring cameos by a group of well-known advocates of equal pay, including: actress and activist Sophia Bush; actress Samira Wiley; journalist, activist and tastemaker Catt Sadler; soccer legend Abby Wambach; and 2x Olympic Gold Medalist, 3x WNBA Champion, Swin Cash, among others. To help women in their quest for equal pay, Secret has teamed up with organizations Ladies Get Paid and The Wing to give women tools they can use to work toward pay equality. Beginning November 19, women may visit LadiesGetPaid.com for access to a free toolkit from Secret outlining strategies for salary negotiation and ways that organizations as a whole can advance change. Additionally, through December, Secret and Ladies Get Paid will host a series of workshops at The Wing locations across the country, where experts will share tips designed to help women navigate a world where equal pay isn’t yet the norm and to better advocate for progress. 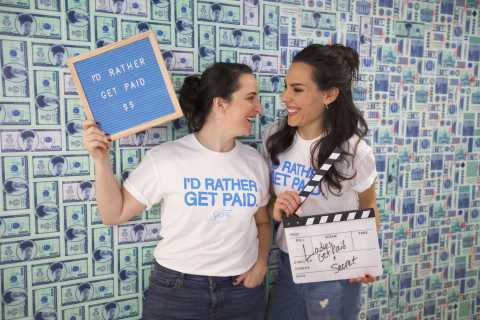 Ladies Get Paid co-founders Claire Wasserman and Ashley Louise also make an appearance in the “I’d Rather Get Paid” film. Secret was the first antiperspirant brand designed specifically for women, and for the past 60 years, Secret has been on the forefront of women’s lives, leading with innovation designed to provide superior odor and wetness protection. Through the years, the brand has been supporting women’s advancement by portraying confident, modern women in its campaigns and communications. 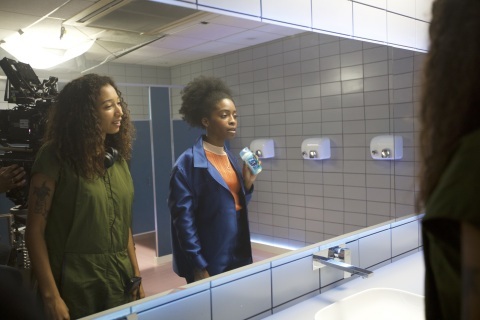 As a continuation of these efforts, the brand’s newest campaign, “Stress Tested for Women,” celebrates progressive young women as they deal with the stress sweat caused by the pressures of today’s world. Ladies Get Paid is an organization for professional women, leading the fight for gender equality in the workplace. Ladies Get Paid provides women with real tools and insight to strategically navigate the workplace, achieve career success, and become leaders at their companies. With an online platform and community of over 30,000 women worldwide, members support each through crowdsourced career advice, as well as resources and job opportunities. It's rough out there for a lady at work; we're with you every step of the way. The Wing is a network of work and community spaces designed for women with locations in New York, Washington D.C., and San Francisco founded by Audrey Gelman and Lauren Kassan. Founded in 2016, The Wing’s mission is the professional, civic, social, and economic advancement of women through community. The Wing believes that the act of coming together in furtherance of this mission creates new opportunities, ideas and conversations that will lead to greater mobility and prosperity for womankind. The Wing spaces feature a cafe and bar, showers, lockers, meeting rooms, phone booths, all-women art galleries and libraries, beauty rooms and lactation rooms.